BASEBALL: A businessman who once owned a rooftop club overlooking Wrigley Field, the home of the Chicago Cubs, has been jailed for 18 months for hiding more than $1.4 million in revenue to avoid paying taxes and hundreds of thousands of dollars in royalties to the Cubs. R. Marc Hamid, 48, was convicted by a jury in July of nine counts of mail fraud and illegal bank structuring for falsifying attendance records at his former club, Skybox on Sheffield. 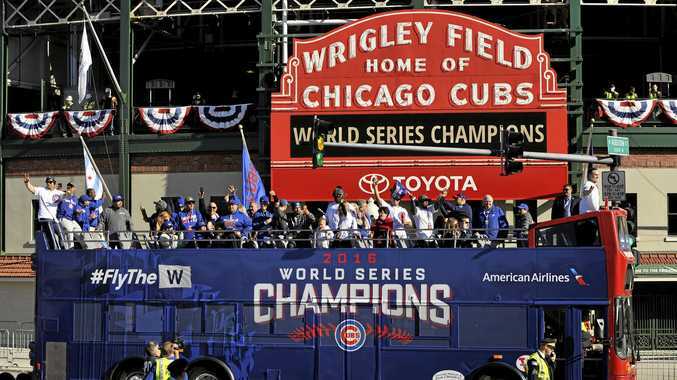 The Cubs broke the most famous drought in baseball when they won the World Series in 2016. Durkin's sentence was well below the recommendations of prosecutors, who had pushed for up to eight years behind bars. The judge said the amount of money involved paled in comparison to most fraud schemes charged in federal court and noted it was likely the Cubs' "celebrity” as a victim "made this investigation so dogged”. Hamid apologised to the Cubs as well as for the "collateral damage” he caused his family and friends. He said partnering with the team was a dream opportunity that he squandered when he fell into financial difficulty. Hamid was found guilty of under-reporting attendance and revenue at Skybox on Sheffield from 2008 to 2011. The deceit the Cubs did not get as much in royalty payments as the 17% of gross annual revenues called for under terms of the rooftop owners' agreement with the team.